With over 15 years experience providing superior locksmith services in Balbriggan and North County Dublin, you can trust our skilled locksmith technicians to handle any emergency situation or custom security job you need completed. No matter where you are in Balbriggan, we’ll come to you. An emergency situation can happen at any time. That’s why we supply a 24/7 mobile locksmith service to Balbriggan. This covers domestic, business and auto locksmith services. If you have had a break in or are locked out of your car, our round­ the­ clock service ensures that you know you are a priority and that a technician is on the way to you minutes after your phone call. We are an insured, licensed company and only employ locksmiths who are fully qualified and trained in up to date techniques. In addition, our locksmiths are garda vetted, for your peace of mind. 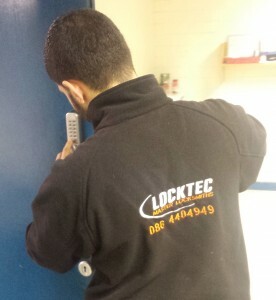 To request a locksmith in Balbriggan now, call Freephone 1800 84 84 85 or 086 730 77 88. For a quotation on a non­-urgent job, please fill in the form on this page, and we’ll be in touch with your quote swiftly.